OK, now that you know the ways we use to figure out and learn how to RV, lets continue with our current methods to understand and keep up with the latest happenings in RVing lifestyle and culture. From researching how to maintain RoadAbode to what destinations to put on our itinerary, there is not better source than surfing the web. The amount of information on various subjects, and niches is astounding. As we use to regularly read about George and Tioga, and occasionally checked in on Louise and Sean of the bus Odyssey (They now live on a boat) over the last several years there are plenty of groups to learn from. Want to learn about converting a bus? Cold weather camping? Work camping? Boondocking off the grid? Living in an RV alone, as a couple or a whole family coming along? There are websites and blogs that cover each of those specific ways of life. What you read will depend on your specific likes and dislikes, and also the writer's individual styles that you enjoy. Below we share some favorite RV enthusiasts that write. They either write well, or are great resources of information. And sometimes - they are both! Right now Jason and Nikki Wynn are the stars of the "Fulltime RVing Life Style" genre. They offer great information, with slick presentation and a fun, easygoing style that seems to come naturally. They offer concise and helpful travel tips through Facebook, Twitter, Instagram and YouTube- but it it is all aggregated to their website. Their flair and style for telling a story while seemingly having fun doing so is really ahead of the curve. The Snowmads are a young couple currently travelling in a Trek Class A motorhome. When we first started reading their blog, they were travelling in an Airstream trailer. They were not the typical Airstream aficionados where every other sentence dealt with why "Airstreams are better" Rather, they write about the journeys and adventures, the people and places - while they happen to live in an RV. Now that they are in a new motorhome, they are hinting at an Alaskan trip soon. I'm looking forward to reading the adventures, and even the challenges that the'll share. They are very approachable and responsive to questions and chats on the various social networks they are part of, so send them an encouraging note or if you have a question about fulltiming, as long as they are connected somehow, they'll probably answer back. We've recently started reading about this couple's travels. A different style and perspective than the "young'uns" above, and we like it. It reminds us of the style of travel we would enjoy when we decide to go full-time or perhaps snow-bird.While the younger full-timers seem to have had just a little too much caffeine some days, Maj and Sher are taking it easy, enjoying the moment, and sharing those times on their blog. 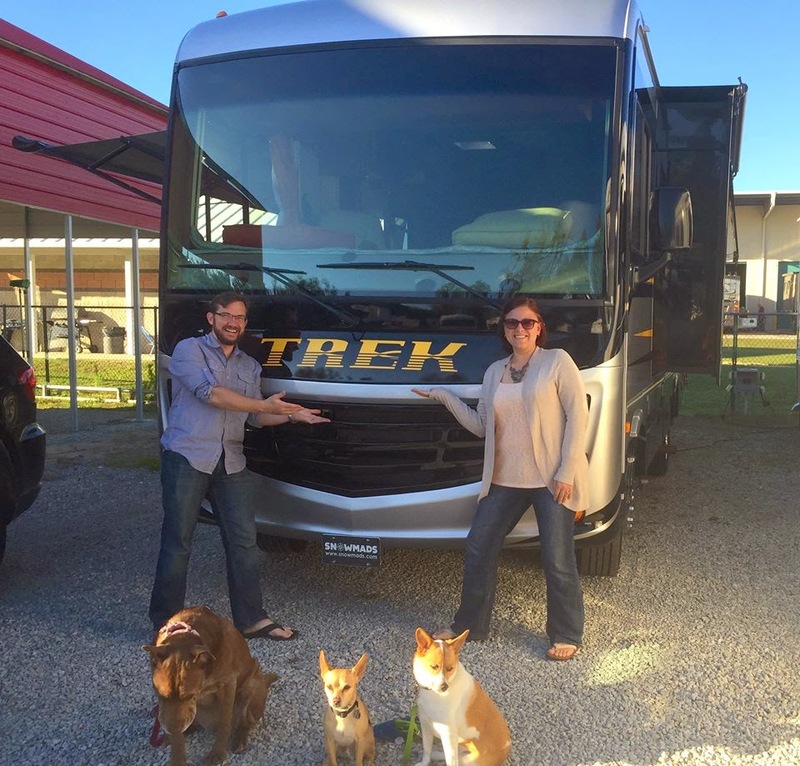 We enjoy reading how Cherie & Chris, two veteran full-time RV enthusiasts work and play while on the road. They really give in-depth information on how they connect to work remotely while boondocking or even driving down the highway. Their knowledge comes from real life use of equipment over time. Another area of expertise is off-grid power. The "Technomads" are definitely a good resource to keep on hand if you are thinking of doing yourself. Chris seems to write more of the technical side, while Cherie writes about the RV Lifestyle. They do cross over into one another's realms on occasion. Below are RVers just getting on the blogging scene, or we only only occasionally read. Drive Dive Devour - a new-er blog well written with a unique perspective and shows promise. We were introduced to these travellers through posts by the Wynns. RV Family Travel Atlas - Or RVFTA for short - cover information from the viewpoint of "weekend warriors" with little kids in tow. They aggregate most information onto their website, but the real gems seem to be in their podcast. I'm more of a reader than a listener, so I may not get as much from this young family as I should. They must be doing something right, because they are already on the RV show seminar circuit! They also announced their first RV Rally. The RoadAbode Crew may need to check that out! Travels with Andy is great to read, lots of tips for living in a class C motorhome, but is not regularly updated. Andy Baird is semi-retired and living in his second Lazy Daze Class C. Read why we thing they are one of the best built RVs out there. This website has been refreshed recently with a new interface. As the name says, this website is great for checking out and reading RVers experiences with campgrounds and resorts. If a campground has overwhelming good reports, or has a glaringly bad report, we try to read other reports by the same author, to make sure the "ballot box" is not being stuffed for a campground, or as a vendetta against one. Some complaints are downright ridiculous to read "The floor of the camper got wet because it rained all weekend" is not a campground's fault! Sign up and help your fellow RVers with truthful, concise reports on the campgrounds and resorts you've stayed. The RoadAbode Crew uses Google Maps regularly. Whether just researching an area, or getting the lay of the land, Google Maps can let us know various routes, distances, and even what restaurants or attractions are close by. If you haven't used Google Maps in a while, give it a try again. Since I have my Google account synced with my phone, searches I have done on my laptop will show as places to check out on my Android Smartphone. You can save personal maps and send to others to let them know your itinerary, or to suggest attractions to visit. When visiting an area we are unfamiliar with, we can check where potential campsites are located in relation to possible itineraries. Now that we use a Chromcast on our television at home, it's easier than ever to watch YouTube Videos and learn about RVing. As we mentioned before, Jason and Nikki Wynn have a great YouTube Channel. Very professional, and as lots of information on various aspects of RV living. They also "video blog" extensively on sights and eateries of the places they visit. RV veteran Mark Polk with his RVing Education 101 series has been dispensing RV maintenance and upgrade information for longer than I've been RVing. Mark's how to videos are easy to follow. On his website you can also purchase DVDs that detail more handy ways to take care of your RV. 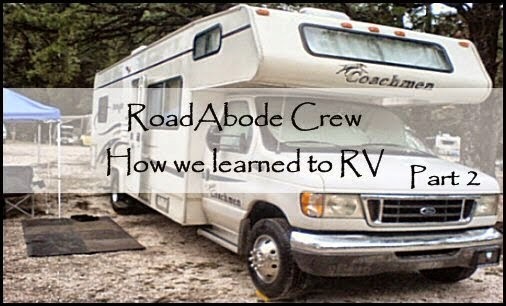 RVGeeks also have a great perspective for tips and tricks to help maintain your RV. Fulltimers for over a decade, their videos are helpful in general care of RVs, and the special care of Diesel motorhomes. A great plus is the narration is quite professional and to the point. For all the latest travel tech, and how to utilize, click over to the Geeks on Tour. Chris and Jim teach technical seminars to Southern Snowbirds and RVers at campgrounds and RV shows.They instruct on how to use laptops, tablets, smartphones and the applications to use with them. They record live sessions on their YouTube Channel, and demonstrate how to use various programs. Sometimes you can learn by what does not work for them too! A recent YouTubing fulltime RVer is Nomadic Fanatic. A more "low budget" take on RVing, Eric is a recent graduate of film school, currently traveling with his cat Jax. Eric's videos showcase some of his day to day activities, travel stops and occasionally his upgrade ideas and repairs. Though I don't agree with all of his LifeStyle suggestions, I have to respect him for living the way he wants, out traveling and enjoying the RVing life. Though we still utilize and post on RV.net forums, as stated in part one of "How we learned" - the RVnet forum interface is lacking and has become clunky over the years. Readers cannot "favorite" or "upvote" those authors that post good information. Since the interface doe not thread sub-discussions in a topic, in long or popular topics it can be difficult to understand which statement a poster is responding to. Lastly, the interface does not format well on a smartphone screen. The pluses of this forum include how it is subdivided into sub-forums, the dedicated moderators that keep things on track in each sub-forum, and the vast archive of information available. iRV2 forum has a similar thread system, but seems to have less posts. We've recently started reading two other websites with RVing based forums. They look promising. RVillage.com Is a social network specifically for RVers. The interface to comment has a Facebook feel, with the ability to like and reply to information others have posted. The forums, which are called Groups, of the "RVillagers" are quite diverse, and we are not yet sure whether this is good or bad. I'm still mostly in "lurking mode" on this website, meaning I'm checking things out, getting a feel for the quality of information, but not posting very much yet. Right now we find the assortment of Groups available overwhelming, and I'm trying to go through them to see which our particular RVLife fit into. RVillage does format nicely on a smartphone, and I'm hoping the information and posts will grow and be a cool resource and great way to connect with other RVers. Reddit GoRving is a sub grouping of the much larger reddit.com community. 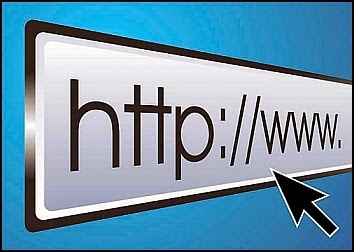 The site as a whole is a collection of entries submitted by its registered users, essentially a bulletin board system. The name "Reddit" is a play-on-words with the phrase "read it". Where RVillage has the feel of a growing, helpful community, Reddit GoRVing is a gun slingin' old wild west town. Inhabited by mostly younger millennials they come here looking for information from one another and encouragement on RVing. Most are looking to live and travel as cheaply as possible. There are also seem to be more "trolls" on the Reddit GoRving forum. These are people taking the conversations off topic, or purposely trying to get someone flustered about a post. It's helpful that you can "upvote" or "downvote" content as being useful, but sometimes the trolls take advantage of the system. Moderators help, but it still feels like the wild west some days. Whether at RV Shows, online, at a rally or around a campfire, hearing other's experiences, tips and tricks can help you have more fun in your RV. Just knowing that another "regular" guy or gal has or is working through the same issue as yourself can be a confidence booster. As you become more experienced, it's always a great feeling to be able to "pay it forward". We've helped others with anything from a roll of paper towels, to spare sewer parts. As a whole, the RV community is a pretty friendly and helpful bunch. Plus, most times you are catching each other at a really good time - out enjoying some R&R with family and friends. This is probably the big one. The scary one for some people. You just have to do it. Connect that hose, test that battery, check those tires. We have learned to replaced a step, installed an inverter and a new entertainment system. Replaced vent covers and troubleshot power to our refrigerator (Was a GFI in the bathroom). I've almost flooded RoadAbode's basement because I forgot to replace my winterizing plug. I've lost a few of Molly's tie ups because I left them and forgot to do a sweep of our campsite. Good or bad, I own and learn from my decisions. Like anything else in life, you can read, watch and talk about something all you want, but until you experience it you will really never know how to do. The words "experience" and "expert" derive from the same root for a reason! Get out there, make good choices, own a few mistakes - and you'l find it's a life worth learning about. Enjoy! So how have you learned about RVing? Can you recomend or use any important resources we've left out? A favorite YouTube Channel or Website? We'd love to learn more! Please comment and share below. Thanks for the very kind endorsement! We do enjoy taking it easy. Just the other day we were enjoying the first cup of coffee of the morning and at the same time said that isnt it nice to not have to rush! Sure we have schedules to meet (i.e. show dates) but hey, if it takes two days to get there, we dont care! Thanks for sharing your resource list.